Already losing weight, new mommy Kareena to be back with an upcoming film titled Veere Di Wedding. Kareena Kapoor is the new age mum and will go to any lengths to prove that she is going to be an amazing one. She created her own style statement during pregnancy and plans to create some more as a newbie mother. She is back in business and how! 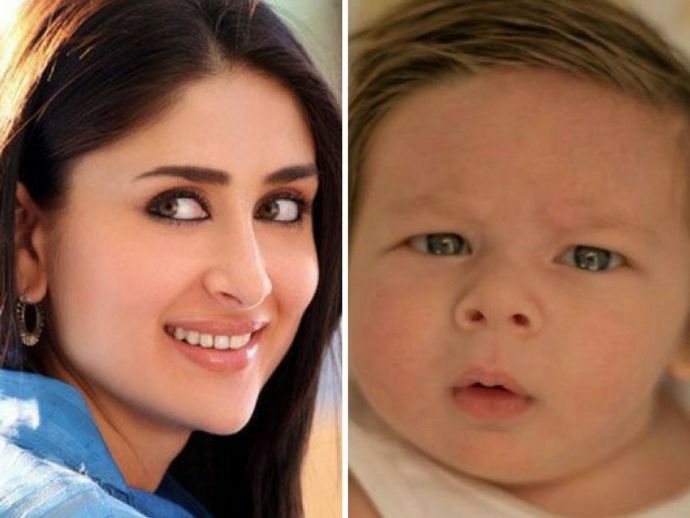 In a 'tete-a-tete' with dietician Rujuta Diwekar, Kareena said that she and husband Saif Ali Khan never leave their newborn son Taimur alone. She also went on to say that she will take him along to her shoots if it is needed. "Saif is at home now. I had to be here for the live chat. So I wanted Saif to be with Taimur. Saif delayed his meeting little bit so I could be here for the chat. Taimur is not alone, one parent is always there along with him." A doting mother she excepted that she had this planned right from the start. "We are always going to do the same. If not then I am strapping him on and going for shoots and that's amazing. He is an integral part of us, he is part of Saif and me, he is born to us," Kareena said. The Begum of Bollywood was doing a live chat on Facebook with the health guru about losing weight post pregnancy. When Rujuta pointed out that there are some women who feel that their life has ended after giving birth to their baby, Kareena said, "There are moments like this, but I will sacrifice anything." Kareena also added that having the best of both worlds was always a priority for the Kapoor scion and she did it in attitude during her pregnancy, enjoying it to the fullest! Nonetheless, all the worry of near-dear ones kept her healthy and their support continues she said. "It doesn't matter what size and shape you are in during or post pregnancy. I had this amazing child and I had an amazing support system from family and friends." "He is the most gorgeous son, he is very good looking. He had Pathan genes...as I had lot of ghee, I went conventional way." The actress has already started working out to shed her pregnancy weight as she plans to take on the screen soon enough. "The process has started. I wanted to do it (lose weight). It's about eating the right food, walking. I am very dedicated. I am trying to do without comprising it's important. It's all coming off (losing weight)." She has Veere Di Wedding alongside Sonam Kapoor, Swara Bhaskar set to go on floors in April. One heck of a mommy isn't it?